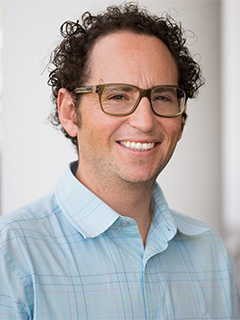 Dr. Neil Hammerschlag is a marine ecologist and Research Associate Professor at the University of Miami Rosenstiel School of Marine & Atmospheric Science and Abess Center for Ecosystem Science & Policy. His current research centers broadly on the behavioral ecology, conservation biology and movement ecology of marine predators, primarily focused on sharks. Dr. Hammerschlag is also Director of the Shark Research & Conservation Program (SRC) at the University of Miami. SRC conducts cutting-edge shark research while also inspiring scientific literacy and environmental ethic in youth through unique hands-on field research experiences. Every year, SRC brings out thousands of people from the public, mostly school-children, on research vessels to survey, sample, tag and study sharks. Dr. Neil Hammerschlag received a B.S. in Ecology from the University of Toronto, Canada, in 2002, and his M.S. in Marine Biology from Nova Southeastern University in Florida, in 2004. He completed his Ph.D. in Marine Biology & Fisheries from the Rosenstiel School of Marine & Atmospheric Science at the University of Miami in 2009. Dr. Hammerschalg began his research faculty position at the University of Miami Rosenstiel school in 2010 in the Department of Marine Ecosystems and Society, with a joint appointment at the Abess Center for Ecosystem Science & Policy. He currently serves as the Director of the Shark Research and Conservation Program (SRC) at the University of Miami. Dr. Neil Hammerschlag’s research centers broadly on the behavioral ecology, conservation biology, and movement ecology of marine predators, particularly sharks. His current research has three core themes: (1) understanding the ecological and evolutionary effects of sharks; (2) determining the biological drivers and conservation consequences of shark movement patterns; and (3) examining how urbanization affects the behavior and health of coastal sharks. He has projects currently underway in Florida, Bahamas, and South Africa.